This is not a demure Essence. We've outfitted it with a host of custom features sure to delight you. First things first - the top. 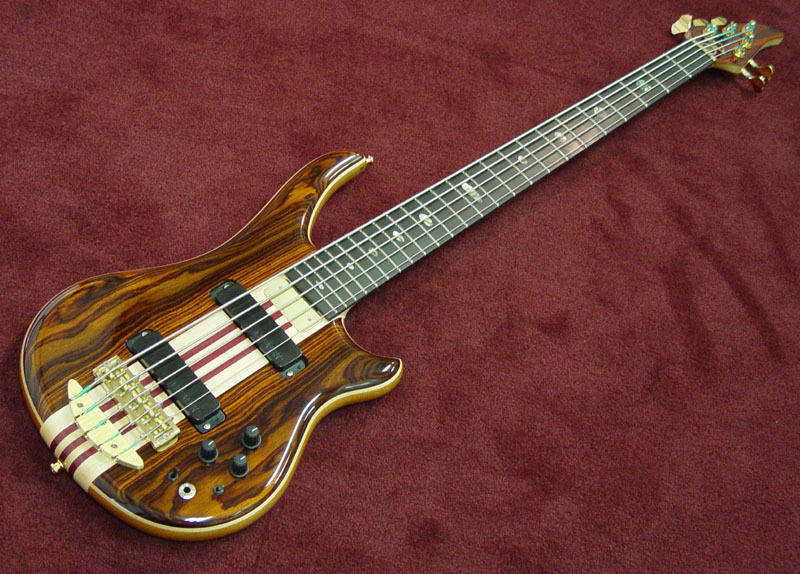 Coco Bolo, the house wood of Alembic, is the top laminate, and is this a nice example. It's a dark, sultry piece, with a swath of colder tinged color streaking about midway out. We love how the concentric rings of grain stack up on the lower horn. 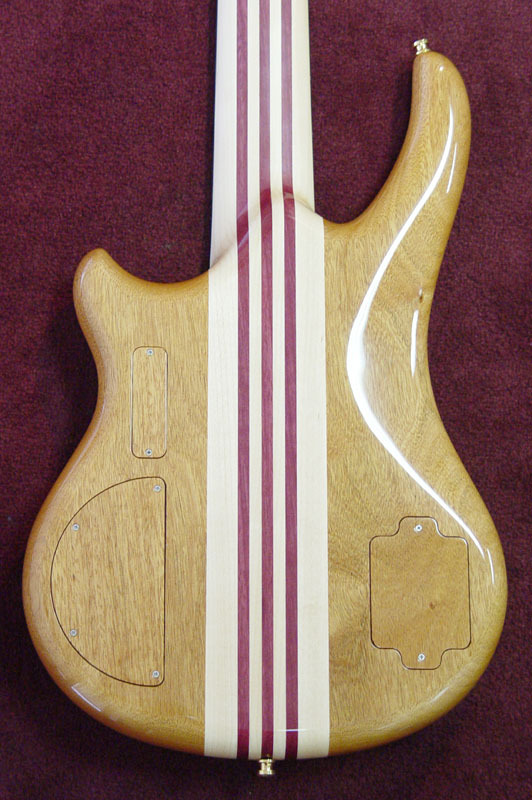 We've added an upgraded 7-piece Purpleheart neck and a thick Maple accent laminate under the top. The contrast between the woods is strong and looks great. 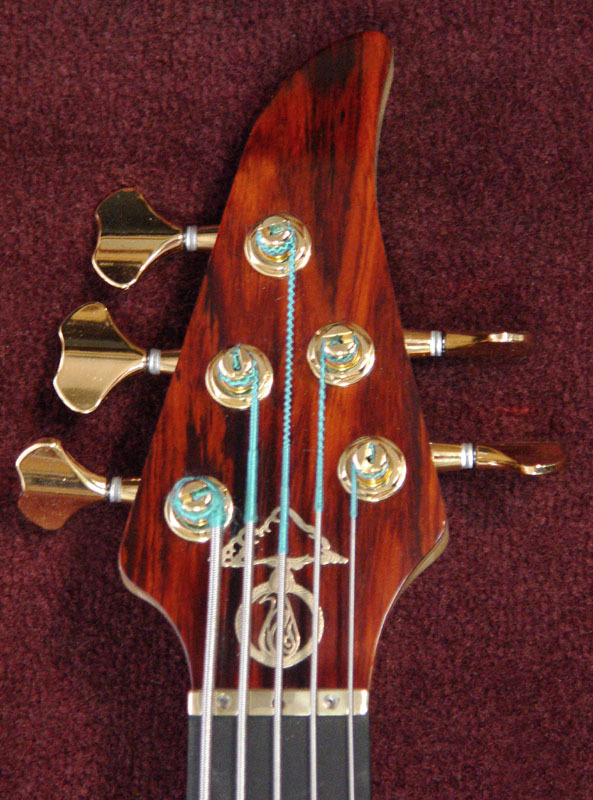 Other bits of custom flair include Abalone oval inlays, red side LEDs and "nearest neighbor" Mahogany backplates.